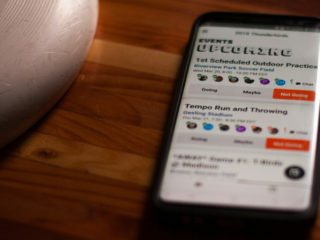 For the past few years, Machine has always been thrown around as a team on the verge of breaking into the ranks of the elite clubs – Revolver, Doublewide, Sockeye, etc. This year was pegged to be their year, starting from preseason talk out of the Windy City Wildifire and continuing through their regular season results. Here’s a look at the year that was with Machine captain Craig Poeppelman. Skyd Magazine: This year’s Machine team was a bit different from last year’s team – both in terms of success, but also in how many perceived the team’s approach to the game – do you think the AUDL team in town had an influence on this? 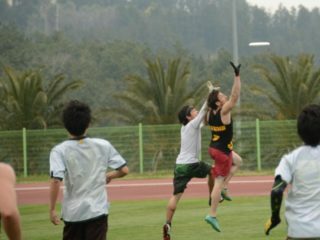 Craig Poeppelman: I don’t think the AUDL had any significant effect on Machine’s season. Only half of Machine played on the Windy City Wildfire so we had some scheduling conflicts in June and July which decreased the amount of practice time we had together early in the season. Also we lost our captain and best defender to an ACL injury. Skyd: Your season didn’t have the best start, losing three of the top teams of the tournament including a close game to Johnny Bravo. But at Heavyweights and the Pro Flight Finale, Machine looked to have pieced things together for two very impressive tournaments. What changed in the team in the month off between Terminus and the last weekends of August? Poeppelman: More practice reps allowed our team to gel as the season progressed. The AUDL season ended so everybody was focused on Machine. Skyd: Overall, how did the team like the new regular season of the Triple Crown Tour? Poeppelman: The regular season was essentially the same for us as it was in 2012. We attended ECC, Heavyweights, and Labor Day in 2012. We attended Terminus, Heavyweights, and Labor Day in 2013. This is very similar to us in both travel costs and quality of opponents. The aspect we most appreciated was skipping Sectionals. It was nice to use this time to have a full practice weekend. Skyd: Starting with pool play at Nationals: what went wrong? In the game against Chain Lightning, the defense didn’t seem to be cautious at times, and Johnny Bravo ran away with the game late. Poeppelman: We were not executing as well as we could have in these games. In the Chain game, Walden Nelson dropped a pull at 10-10 which certainly didn’t help. The dline also struggled to convert the few break chances. Our dline was used to being able to force a lot of turns and getting plenty of chances on offense. When the number of chances decreased, the dline got more frantic on offense. Skyd: The game against PoNY in pre-quarters was certainly one of the best up to that point. The defense was able to force errors by NY late especially to bring you back into the game. After the disappointing day before, what adjustments were made to bring home the win? Poeppelman: We did not make any major adjustments. We did tighten up our lines from Thursday to Friday due to the win or go home scenario. 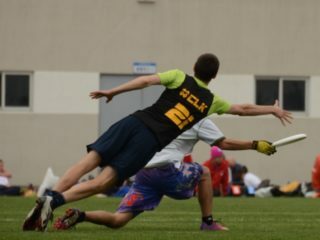 Skyd: The last two games, quarterfinals against Sockeye and consolation against Doublewide, were losses, leaving Machine with only two wins at Nationals. Does that leave a sour taste in the mouth going into the offseason? Especially when you’ve beaten those teams previously? Poeppelman: We are not satisfied with the results we had at Nationals. We know we did not execute to our potential and this will fuel us this offseason. Machine will continue to build on our foundation. The challenge is every team has this same attitude. 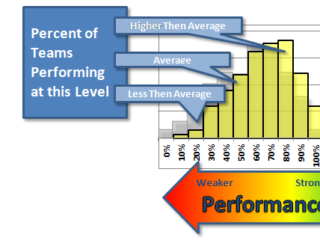 Our challenge is to improve more than our competition. Skyd: Going off of that – what was different this time you met Sockeye and Doublewide? Poeppelman: We feel that our execution was not as crisp as it was in earlier meetings this year against these teams. Sockeye did seem to be a different, stronger team with a full healthy roster. Our Doublewide game could have gone either way losing on double game point. I think there’s a different taste in our mouth if that game goes the other way. Skyd: What’s next for Machine? More crossover with the AUDL? With CUT camp? An even stronger in the works for next season yet? Poeppelman: What’s next is more of the same and continuing growth as a team. We have a solid core of young players who made huge contributions for our team the past few years. They will continue as the foundation and we’re excited for other young players to step up into bigger roles. 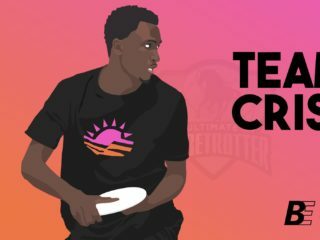 Chicago is rising as a great ultimate town. With a strong, growing youth scene, I expect it to become even better in the years to come. Our team has not started discussions about the AUDL in 2014. Everyone is decompressing for a bit before we start the discussions. We are losing some veteran players who have been mainstays of Machine for a long time. People don’t really know him outside of the Midwest, but Michael Shiel will be retiring. He will be a big loss both on and off the field. He has been one of Machine’s best players for the last 5+ years. Skyd: Anything you’d like to see change in USAU or the Triple Crown Tour going into next season? Poeppelman: Vuvuzelas in the player packs.